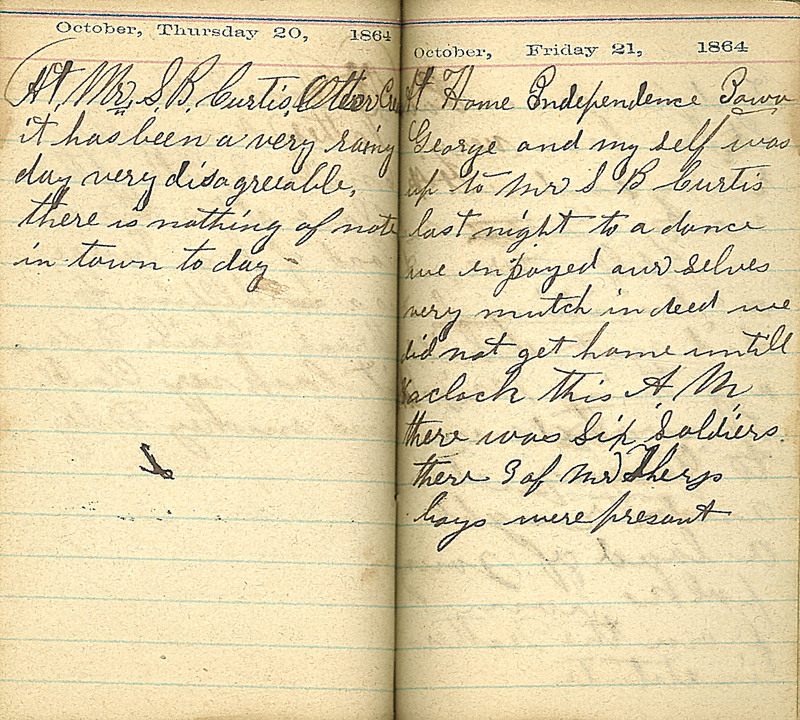 October, Thursday 20, 1864 at Mr. S.B. Curtis, Otter Creek it has been a very rainy day very disagreeable. there is nothing of note in town to day. October, Friday 21, 1864 at home, Independence Iowa George and my self was up to Mr S B Curtis last night to a dance we enjoyed ourselves very mutch indeed we did not get home untill 3 o'clock this AM there was six soldiers there 3 of Mr. Sherys boys were presant.